Businesses are so very proud of what they have to offer and a virtual tour is a fantastic way to open the doors on all types of building. 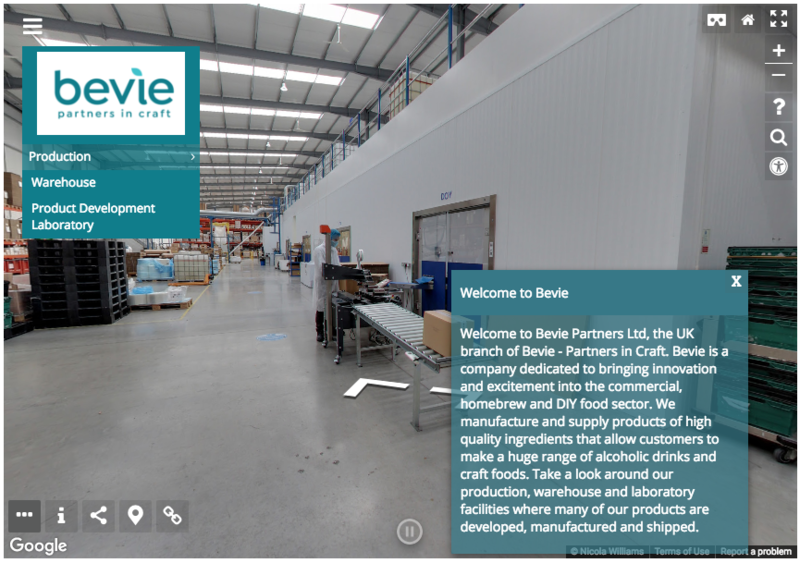 Bevie Partners Ltd in Ellesmere Port run a large factory manufacturing and developing products for the homebrew and DIY food sector. They sell their products all over the world and are keen for customers to see their fantastic award winning facilities. The company also innovates in food and drink product development with their onsite laboratory facilities which the tour is also able to encompass. 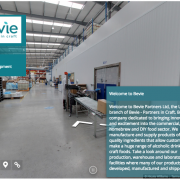 The Bevie tour is available to view on Google maps but we’ve also created an overlay so that further interactivity has been added to auto rotate, add navigation points, company branding and informational text boxes. The overlay also adds the Google Cardboard function so that when the company exhibit they can show the tour on their stand in VR headsets.